Throughout its history, science has benefited from contributions made by amateurs, but since the creation of Internet an increasing number of important projects have recruited large numbers of ordinary people to their teams, in what is now called citizen science. Prominent examples include Galaxy Zoo in which volunteers annotate photographs of distant galaxies and eBird in which bird watchers systematically document their observations out in the field. This phenomenon has become sufficiently extensive that several experts have offered typologies for classifying projects, establishing citizen science as a new research field in its own right. Among the implications for general science and technology convergence is the fact that the nature of expertise may shift, offloading much of the detailed technical knowledge onto information systems, and clarifying theoretical concepts, motivated by the need to integrate into the community many nonscientists, but in consequence also making it easier for a scientist in one field to participate in another. Consideration of citizen social science illuminates how citizen science more generally can facilitate convergence of science with society, guided by fundamental research on how science is understood by nonspecialists. Members of the general public and other nonspecialists are becoming increasingly involved in scientific research, often in the role of long-term volunteers, and progressively acting as partners in the research rather than merely providing free labor. Convergence is central to such citizen science in four ways. First, inclusion of nonprofessionals in research within traditional sciences typically requires innovation in supportive information technology and not infrequently in organization of diverse, distributed teams based on insights from social science. Second, citizen volunteers to a project in one field will often have training in a different technical field, thus being in a position to combine elements from both. Third, citizen science will encourage rationalization of the language, data archives, and abstract conceptualizations employed in the research, thus facilitating more general convergence of that science with others. Fourth, citizen science could become the main mechanism for integrating science into society, thereby rendering society scientific, and harmonizing science with the needs of human beings. The term amateur scientist had become an insult in this era of high professionalization, yet it fundamentally refers to someone who loves science. Prior to the expansion of universities and complex industries beginning roughly a century and a half ago, many scientists were amateurs. Galileo, Newton, and Darwin did not earn doctorates in graduate schools. Einstein did earn a doctorate, and calling him a mere patent clerk when he did his decisive early work may unduly romanticize trials and tribulations like those faced by many modern graduate students and postdocs. Given the many opportunities offered first by universities and then by industry and government laboratories, we can assume that most talented young people who want to devote themselves entirely to scientific research can do so in a professional context. However, a much larger fraction of the general public is interested in science than can pursue careers in it, and by investing their labor and often considerable expertise, they not only continue their educations throughout life and take pride in contributing to the advance of human knowledge but also help science converge with society. Two citizen science projects are frequently cited as clear examples of the potential benefit to both science and the citizens who volunteer. In the first phase of its existence, Galaxy Zoo enlisted volunteers who classified images of 9,00,000 galaxies, and “These morphological categories are broadly correlated with other, physical parameters, such as the star formation rate and history, the gas fraction and dynamical state of the system; understanding these correlations and studying the cases where they do not apply is critical to our understanding of the formation and evolution of the galaxy population” (Lintott et al. 2011, p. 1). Via Internet and often using handheld devices, “birders’ contribute observations to eBird, and “These amassed observations provide scientists, researchers, and amateur naturalists with data about bird distribution and abundance across varying spatiotemporal extents” (Wood et al. 2011, p. 1). There are many ways to classify citizen science projects, and the most traditional is in terms of scientific disciplines. Galaxy Zoo belongs to astronomy , and eBird to ornithology . But this approach is less than ideal for convergence, not only because a given project may unite several sciences, but also because a project that belongs to one domain may have important contributions to make to completely separate domains. For example, projects differ in whether they build versus buy the computer software they use to collect, manage, and analyze their data (Prestopnik and Crowston 2012). A well-funded project that has distinctive needs may elect to build the software, but once it exists it may be used in other projects at much lower cost, perhaps adapted somewhat to the new needs which means the original programmers needed to document the source code well. The inheritor projects may be in entirely different disciplines, so long as their data structure and user interface needs are similar. Action-oriented and conservation projects seem to overlap and will be considered below, because they implicate science directly in public policy debates and even social conflict. Wiggins and Crowston classify eBird as an investigation project, and Galaxy Zoo as a virtual project. In addition to these five categories, they identify two categories of projects that might seem similar to citizen science, but were excluded on the basis of reasonable criteria, which however might deserve reconsideration in the context of convergence. First, they distinguish citizen science from open science , which they define as “open-source like practices in formal scientific research settings.” The term open-source comes from computer software projects like the operating system Linux that was created by volunteers who shared the uncompiled and documented source code freely so that many people could critique or contribute code (Lee and Cole 2003; Bagozzi and Dholakia 2006). The volunteers whose work was used were technically competent at the level of professional programmers, and the social organization of the project was less hierarchical than most current citizen science projects that clearly distinguish the team of scientists from the citizen volunteers. A new term, citizen science 2.0, refers to projects in which the volunteers have greater competence and influence than in projects like eBird and Galaxy Zoo, suggesting that as citizen science evolves and expands into new fields, it may morph into open science. Second, Wiggins and Crowston excluded several psychology projects in which the volunteers themselves were the objects of study, because human research subjects have not traditionally been considered research collaborators. Here again, as in the case of open science, the boundaries are blurred, more or less from one project to another, and potentially disappearing altogether as citizen science evolves. This potential is especially obvious in personality psychology and the social sciences when studies involve specific human beings over long periods of time, using methods in which judgments by the research subject contribute to the analysis. An early example was the intensive research on personality at Harvard University, chiefly in the 1940s and 1950s, when one of the most influential resulting books focused on just three ordinary citizens (White 1952). The heavy and innovative use of information and communications technologies in citizen science projects suggests that computational infrastructure is relatively well developed for that application, setting the stage for a new phase of convergence on the conceptual level. Examples of outdated scientific classification systems are easy to find. Class B of the publication coding system of the Library of Congress includes psychology, but is dominated by religion and philosophy. The subclass to which psychology belongs, BF, includes parapsychology and the occult given that when the catalog was devised well over a century ago, psychic research and spiritualism often presented themselves as sciences of the mind. The original NBIC report, Converging Technologies for Improving Human Performance (Roco and Bainbridge 2003) was assigned to the T category, which covers technology and thus would seem appropriate, but to the TA subcategory which is civil engineering, not really covered in the book, and even the broad T category does not include biology or cognitive science . Classification systems like that of the Library of Congress were an adaptation to the information technology of their day, placing paper-printed books with similar topics on the same shelf of a library to facilitate browsing, or looking through the card catalog in cases like the Library of Congress where users are not permitted into the stacks. The report’s full call number is TA166.C69 2003, but it also has two other unique identifiers, the LC control number, 2003048819, and the International Standard Book Number (ISBN), 1402012543. Nobody, not even the editors, memorized these designations, and human beings tend to know a book by its title. This raises the general convergence question of how much information of what kind needs to be built into the name of a thing or concept, for it to be useful. Today, as all books are migrating to electronic forms, there is no need to decide which one shelf of a physical library each should sit upon. Computerized search engines can find a book in many different ways, for example by title or author. They may identify each book by its meaningless ISBN number, but locate it by searching a list of keywords or the raw text of the entire publication. Humans may develop their own special purpose tools, for example the Wikipedia page devoted to the NBIC report. 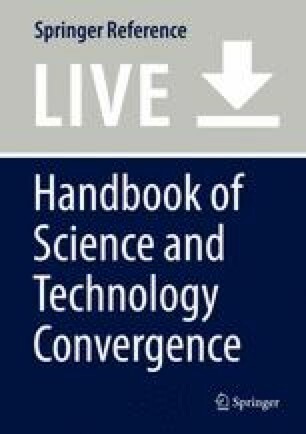 This can simultaneously promote both convergence and divergence, as biological and cognitive scientists may classify the report in ways useful for their own fields, but once they find the report they can branch out into the other disciplines and even make use of classification systems with which they were previously unfamiliar. Many technical terms were derived from the accidental circumstances under which the first example was discovered, or the language of the discoverer (Bainbridge 1994a, b). Neanderthals were named after the valley in Germany where the first skeletal remains of this close relative of modern humans was found; Thal means valley in German, and Neander was the name of a revered local clergyman after whom the valley was named. Cepheid variable stars are named after Delta Cephei, the first example studied, in the constellation Cepheus, and of course many constellations were delineated and named in ancient times following principles that have nothing to do with modern astronomy. In cognitive science, this arbitrary naming convention illustrates exemplar theories of human cognition , the perspective that concepts are abstractions from specific cases (Conway 1997). It is said that the universal language of science is mathematics, yet fields differ greatly in how they apply mathematics, and even which branches they find most useful across different subdisciplines. For example, in most of the social sciences, some but by no means all of the work involves statistical analysis, following rules of thumb rather than for most practitioners a deep understanding of the origins of the rules they follow. In the university, a course in social statistics may instruct students about when to use Pearson’s r rather than tau to measure a correlation, and the qualitative logic based on the distinction between real numbers and ordinal scales may be learned, but very few social scientists memorize the formulae for these two very different coefficients, relying upon their statistical analysis software to handle that, let alone ever understand fully how the formulae were derived. That raises the more general principle that technical skills are increasingly being offloaded onto information technologies, a cultural change that may seem worrisome but could facilitate convergence across sciences by reducing intellectual barriers to entry. In the sciences that emphasize observation of the natural world, classification of phenomena is often central. Consider taxonomy in paleontology and zoology. The author and reader of this essay belong to Homo sapiens, while a pet cat belongs to Felis catus. The online Integrated Taxonomic Information System (ITIS) created by several agencies of the US government explains that the full classification of kitties is: Animalia, Bilateria, Deuterostomia, Chordata, Vertebrata, Gnathostomata, Tetrapoda, Mammalia, Theria, Eutheria, Carnivora, Feliformia, Felidae, Felinae, Felis catus. Felis catus is a genus-species name, and ITIS attributes it to Linnaeus in 1758 who was the key scientist who developed the taxonomic system still in use today. When it was established, the Linnaean system was influenced by an Aristotelian or Christian religious notion that categories of creatures were somehow naturally distinct, even immutable, and the theory of evolution by natural selection would not be developed for a century, while another century would be required before science began to understand how the structure of the DNA molecule determined genetic differences. The species concept continues to be useful, because it identifies a gene pool of creatures that can breed with each other. Yet a widely dispersed species may show great geographic variation, such that individual organisms at the extremes might have trouble breeding if we brought them together. Paleontologists struggle with the concept chronospecies, which refers to creatures in the same lineage but from very different time periods, such that their form is markedly different and we can speculate they might not have been able to breed if brought together via an imaginary time machine. For living creatures, we can now sequence their DNA and describe differences much more precisely, although this methodology is developing so rapidly it is hard to predict how far it will go. The genus concept may not be very useful, however, let alone some of the higher-level terms like the catty “Feliformia, Felidae, Felinae.” An approach called cladistics conceptualizes these classifications as the empirical result of family trees of animals having common ancestors (Hennig 1979). This modern approach does not salvage the Linnaean system entirely, both because common descent is difficult to determine, and because there is no reason to assume that modern species of cats and humans are the result of only a small number of gene pool splits from common ancestors, let alone about the same number. As a practical matter, we could keep the old Linnaean names, but not consider them a scientific classification, then use DNA and other data to constantly update family trees on an open but authoritative archive like ITIS. Another example is the Unified Medical Language System (UMLS) developed by the National Library of Medicine that began by attempting to harmonize competing terminology systems that had already been developed somewhat independently. Clearly, UMLS is an example of convergence within a field, but a 2004 report said it then contained 2.5 million terms, 9,00,551 concepts, and more than 12 million relations between these concepts (Bodenreider 2004). No human being could possibly learn 2.5 million terms, so in the past experts have specialized. A possible end result of efforts like ITIS and UMLS would be that human scientists learn only very general concepts, and rely upon the databases and information technology search systems to handle the infinitesimal details. That would be a revolutionary shift for many observational fields of science, and one that could facilitate both citizen science and professional scientific convergence, especially if the general terms were not field-specific. Conservation: Many parameters of nature are constant, or like the conservation of mass and energy preserve some features even when they are transformed, and this may be true even for complex systems if some manner of homeostasis is in effect. Indecision: Some events may be triggered by utterly random factors; indeterminacy is not limited to subatomic phenomena, and information will always be incomplete concerning complex systems. Configuration: Most sciences and branches of engineering concern assemblies of units into typical structures, such as the atoms in protein molecules or the people in social networks, and graphing phenomena in spatial representations is a universal mode of human thought. Interaction: All systems are dynamic to a significant extent, so many forms of analysis decompose phenomena into subsystems, although the velocity at which these units influence each other varies widely across sciences. Variation: Not only do the units in a complex system tend to vary, but their characteristics tend to follow one of a small set of mathematical forms, such as the normal curve, the related logistic curve, or a power law such as the “long-tail” Zipf distribution. Evolution: Natural selection tends to reduce diversity while strengthening some form of adaptation, but mutation resupplies diversity, allowing systems to change significantly over time. Information: A balance between order and disorder, meaning and entropy, data and wisdom, the raw material of scientific publication and engineering design is ultimately the content of human communication. Cognition: The human mind forms cognitive models of reality, which must to some extent mirror the external world, but which cannot be divorced from general human desires, personal past experiences, and the chaotic process by which the human brain evolved. These principles themselves form a complex system, amplifying or modifying each other, but all widely applicable across multiple sciences. Of course, other such lists can be constructed, and some of these concepts can be criticized. Any final list of general concepts that can validly facilitate convergence of the sciences must itself be the result of extensive scientific study. Traditionally, curricula designed to improve scientific literacy among the general public tended to seek familiar language in which to describe each science separately, but did not attempt to establish a new terminology to unite them (Rutherford and Ahlgren 1990). Citizen science raises a very wide range of ethical, legal, and social issues. They could be viewed as interesting challenges that motivate us to understand well how the teams function and how science interacts with the wider society, rather than as evidence that citizen science is undesirable. For example, there are questions about intellectual property rights, whenever a project produces new technology that might deserve patenting, or simply the honor accorded participants on scientific publications that result. Many issues are more obvious in citizen social science, so we can approach them from that direction, but with awareness that once we are fully aware of an issue we may find that it arises in many other scientific fields as well. Social and behavioral scientists have tended to withhold much information about their research from the human subjects they study, and promotion of subjects to the role of collaborators would violate this longstanding tradition. One reason is that the people under study may adjust their behavior to conform to the researcher’s theories, thus invalidating the results (Orne 1962). Another is that information may free the respondents to use the situation for their own purposes, notably to present themselves in a favorable light, what is technically known as social desirability bias (Crowne and Marlow 1960). However, especially in cultural anthropology, so-called native informants often become very familiar with the goal of the research, even to the point of becoming collaborators in it (Manning and Fabrega 1976). The demand characteristics of a research study, such as the social pressure to find what the team leaders expect, can produce bias in any science. When the focus of scientific research is human beings, there is always the potential for the researcher to merge with the researched, but this can become an advantage rather than a distortion, if the study is designed with the principles of convergence in mind. The key principle is awareness: Understand the human as well as the technical meaning of the research. While intellectual property rights are typically conceptualized as patents in engineering, in social science they can be conceptualized as privacy. When the Harvard team many decades ago studied a few individuals intensively, their publications concealed the names of the research subjects, but anyone who knew them could recognize them in the research publications, because so many details of their lives were revealed. Today, so-called longitudinal studies, in medicine as well as the social and psychological sciences, collect vast amounts of data about a distinct group of individuals across a span of years. If some of those individuals begin to feel they are partners in the research, and urge that the study morph into citizen science, they not only risk revealing many private facts about themselves, but also starting an avalanche that unravels the privacy protections for the other participants as well. Consider one of the world’s very best longitudinal studies, The Panel Study of Income Dynamics, which has surveyed a sample of American families since 1968, following the same people over the decades and sometimes adding their children as effective replacements when older generations pass away. Housed at the University of Michigan, the PSID has provided the data for over 3,000 scientific publications, in sociology as well as economics, often providing government programs with a needed understanding of the changing conditions of American life, in areas such as poverty and social mobility. The families under study have been protected very well from journalists and others who might exploit them, if their privacy were violated, and they are generally quite loyal participants. A key challenge for any longitudinal study is sample attrition, the technical term for when research subjects defect, either refusing to participate any more or simply moving and getting lost to the researchers. This problem has been minimized in the PSID, and careful studies have compared defectors with the continuing sample to see if any regularities in what factors encourage defection might bias the results (Fitzgerald et al. 1998). But imagine what would happen if a few respondents decided the PSID was a citizen science study, set up a blog site to encourage other respondents to go public, and proudly identified which respondent ID numbers were theirs in the widely available dataset. This may never happen, but all kinds of bias might be introduced into the data, even as other participants defected over privacy concerns. Many future citizen science projects may involve volunteers who are not themselves the subjects of study, but who help collect data about other people. A common example already exists, namely the numerous oral history projects in which volunteers interview members of a community, often elderly ones, to assemble a description of its past (Bainbridge 2014, p. 145). If the volunteers were graduates of a college sociology or urban studies program, working under the direction of former professors, then the research might be community sociology rather than oral history. The chief difference is the use of a theoretical framework, with the development and testing of hypotheses, in the context of an ethnographic case study. This is perhaps the most likely kind of study that could demonstrate the value of citizen social science, and develop methods for dealing with legal and ethical issues, because so much prior work would provide a solid framework. The relevance for other kinds of science can be illustrated by returning to the Wiggins and Crowston typology of citizen science, particularly their action-oriented and conservation categories. Studying environmental pollution is also studying the behavior of the human beings who caused the pollution (Cooper et al. 2007). Any collective action may have opponents. Any government-sponsored research project may draw the ire of opponents of government in general, or opponents of the currently ruling political party. Opening the doors of a laboratory to welcome citizen scientists also opens the doors to social and political controversy. However, objective scientific research may be the best way to resolve public debates, so its convergence with society may be not only possible but necessary in these times of widespread public discontent. Environmental protection, including the challenge of global climate change, has been the public controversy most often discussed in Converging Technologies conferences, and a large fraction of government-supported citizen science projects are in this general domain (Bowser and Shanley 2013). The citizen scientists involved in eBird are indirectly contributing to our knowledge in this area, because they help map changing bird migrations as climatic conditions change, and many other environmentally oriented citizen science efforts will contribute in the future. While participants in eBird undoubtedly care about the natural environment, they are not necessarily biased in favor of a particular theory about climate change. Thus, given their background knowledge and research-related interests, they may become valuable opinion leaders in their local communities as the general public struggles to make sense of the objective facts and policy implications of the debate (Katz and Lazarsfeld 1955). The question then becomes whether citizen science can function effectively outside the discipline imposed by academic institutions and professional scientific organizations. This question may not have a simple answer, and it suggests several directions for research. If the Environmentalist Movement can integrate citizen science into its antipollution crusades, and some of the industries that disagree with the movement can hire their own scientists to provide rebuttals, how can the opposing sides converge to a shared scientific understanding that could guide public policy in the proper direction? Will the development of citizen science eventually lead to a proliferation of scientific schools of thought, not merely one for each field of science, but also one within each field for every nonscientific subculture such as religions, political factions, and historical heritages? In other words, citizen science will have substantial implications for divergence as well as convergence, perhaps not yet predictable in outcome, deserving serious attention. Citizen science has the potential to transform public perceptions of the sciences involved, but its early success depends upon the perceptions that members of the public already have. Thus, one of the roles for social science in convergence of science and society is to chart changing popular beliefs and attitudes, thereby providing a conceptual framework on which to build educational programs and design the organizations that invite citizen contributions. A good dataset for illustrating the current situation is the 2006 General Social Survey (GSS) , based on a representative sample of American adults, publically available from National Opinion Research Center at the University of Chicago and the Computer-assisted Survey Methods Program at the University of California, Berkeley. One battery of eight questions in the 2006 GSS asked, “How important are each of the following in making something scientific?” Table 1 reports the percentages of respondents who assigned each of four levels of importance to eight characteristics of the research, with from 1,775–1,807 answering each one, and the percentages across each row adding to 100 %. It is based on unweighted data, and anyone who wishes may analyze the data while weighting for other variables and also looking at correlations, for example with levels of respondent education. While few members of the general public expect science to be consistent with religious beliefs, many expect it to be consistent with common sense. They also tend to feel that conventional laboratory and university settings are important, and place a rather high priority on the researchers having a higher degree in the field. These assumptions may need to adjust somewhat, to facilitate citizen science. But the highest importance is given to good intellectual standards: solid evidence, unbiased weighing of the evidence, and independent replication. Naturally, respondents differ in their assessments of various sciences. In answering another battery of questions, only 9.6 % felt that sociology was very scientific, compared with 16.6 % for economics, 48.1 % for engineering, 70.7 % for physics, and 71.6 % for biology. We cannot expect all members of the population to participate equally in citizen science, so social scientists will need to analyze public conceptions in terms of variables such as education that might predict participation. While 47.6 % of 1,276 respondents who lack college degrees believe it is very important for research to take place in a laboratory, only 30.1 % of 511 college graduates expressed this view. Certainly, many kinds of citizen science take place out in the field, or on the volunteer’s home computer, rather than in a laboratory. College education correlated with giving a high priority to the three characteristics describing intellectual standards, for example 84.9 % versus 70.8 % on examining different interpretations, and lower priority to the other characteristics, even possession of a higher degree. Science serves many functions for humanity, and several of them can be facilitated by citizen science. Discoveries in fundamental research provide the knowledge necessary for new technological inventions, and public participation can both help make the discoveries and decide whether and in what ways new inventions should be promoted for human betterment. In democracies, public policy requires the consent of the government, and citizens can best play their central role in the political process if they really understand the issues. Documenting the migrations of birds is far from frivolous, providing profound insights on how humanity fits into nature. Classifying images of distant galaxies may have no implications for engineering or public policy, but it does provide the basis for an improved understanding of the nature of the universe. That understanding is of little value if limited to specialists confined to the ivory tower of academia, and science will serve humanity best if it is fully integrated into human culture.